Adagio FM live broadcasting from Poland. 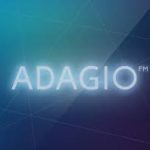 Adagio FM is an internet radio station that broadcasts timeless classical music from medieval to modern with chat & automated requests. It is one of the most famous online radio station on Poland. Everything played on Adagio.FM is owned on CD and is covered by the RIAA blanket license agreement provided by AudioRealm. 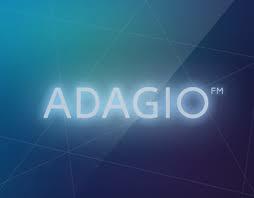 Adagio.FM supports the music industry and encourages listeners to purchase CD’s featured on this station. If you are an artist, composer, record label, entertainment lawyer or affiliated with the music industry and you do not want your recordings promoted on Adagio.FM, Contact me and I will remove any material at your request immediately. Adagio FM is the result of a long love of the classics. Growing up in Minnesota I was exposed to Minnesota Public Radio which is one of the best places on radio, even today. As a life long student, classical music is the only music that will keep other parts of my mind occupied while I focused on my studies. My intent with this station is to have a very large database of music so we all can all share our favorites and along the way discover the more obscure tracks and composers.